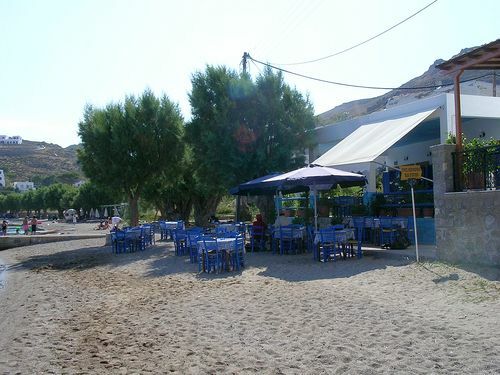 Grikos is a fishing village lying south east of Town (apx 5 km from Skala - port). 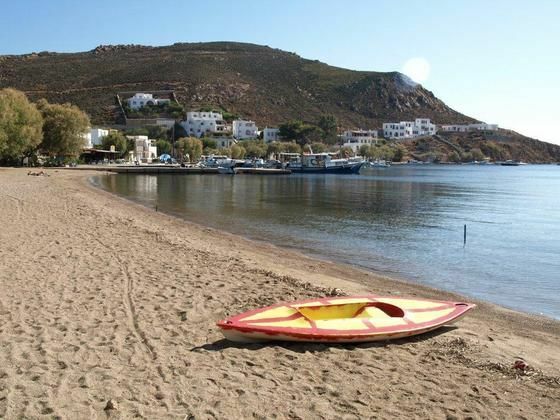 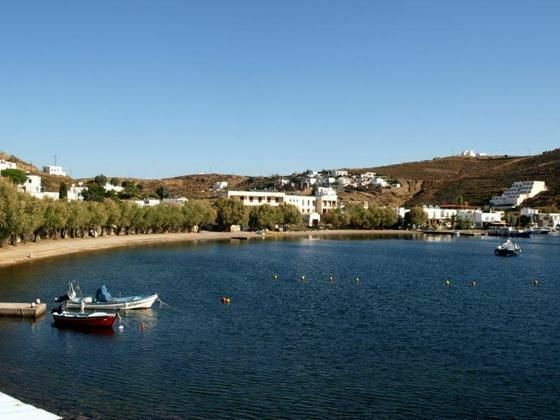 It has an organised beach with crystal clear waters, sun beds, umbrellas, taverna and water sports facilities. 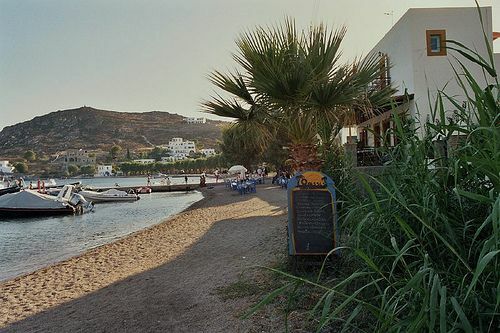 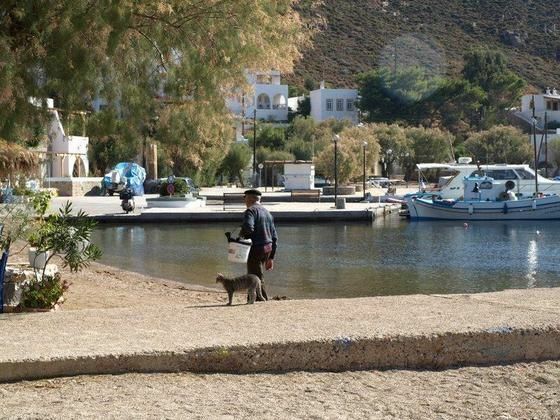 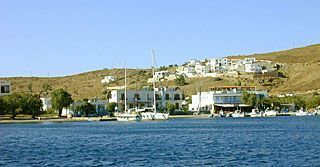 Grikos is a charming village with a little harbor at the eastern end. 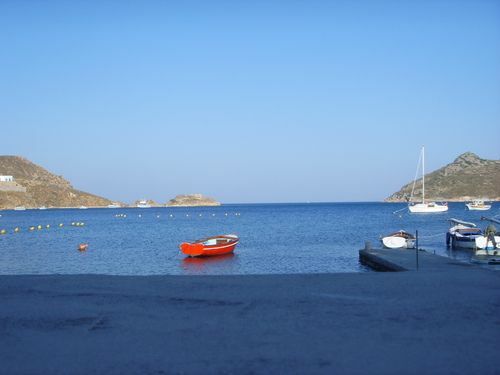 At the end of Grikos beach, at the Kalikatsou rock, there are the hollowed out caves excavated by the hermits. 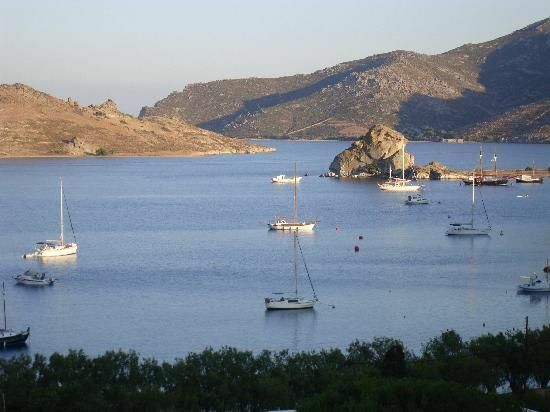 ANCHORING & MOORING INFO: Protected from N/W winds, Open to S/E winds. 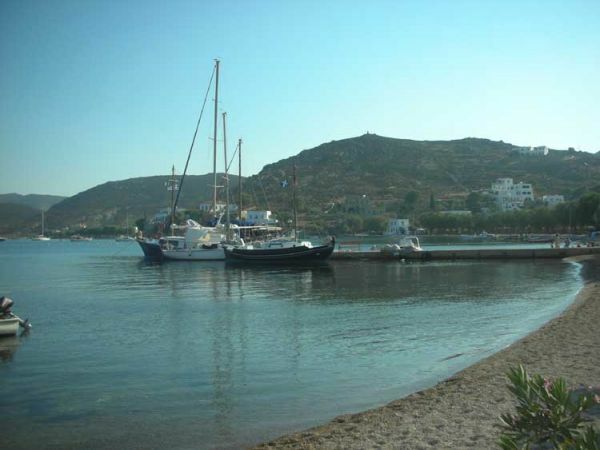 The small mole has only 1-2 places for mooring. 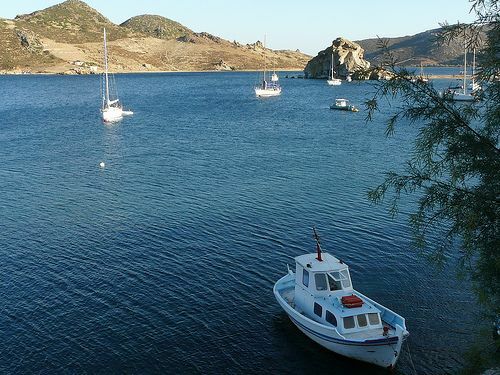 We suggest you to anchor at Petra Bay (Ormos Petras, see separate listing), behind Tragos islet, because it will protect you from the SE. 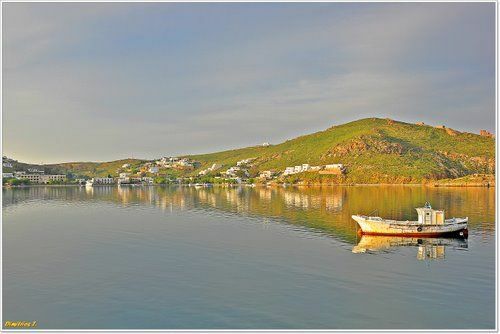 There are several permanent moorings and you may be lucky to find one vacant.